Ryan, O., Shapiro, R. S., Kurat, C. F., Mayhew, D., Baryshnikova, A., Chin, B., Lin, Z. Y., Cox, M. J., Vizeacoumar, F., Cheung, D., Bahr, S., Tsui, K., Tebbji, F., Sellam, A., Istel, F., Schwarzmuller, T., Reynolds, T. B., Kuchler, K., Gifford, D. K., Whiteway, M., Giaever, G., Nislow, C., Costanzo, M., Gingras, A. C., Mitra, R. D., Andrews, B., Fink, G. R., Cowen, L. E. and Boone, C. (2012). Global gene deletion analysis exploring yeast filamentous growth. Science 337(6100): 1353-1356. Schwarzmuller, T., Ma, B., Hiller, E., Istel, F., Tscherner, M., Brunke, S., Ames, L., Firon, A., Green, B., Cabral, V., Marcet-Houben, M., Jacobsen, I. D., Quintin, J., Seider, K., Frohner, I., Glaser, W., Jungwirth, H., Bachellier-Bassi, S., Chauvel, M., Zeidler, U., Ferrandon, D., Gabaldon, T., Hube, B., d'Enfert, C., Rupp, S., Cormack, B., Haynes, K. and Kuchler, K. (2014). Systematic phenotyping of a large-scale Candida glabrata deletion collection reveals novel antifungal tolerance genes. 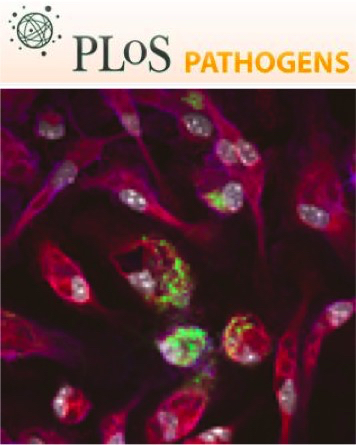 PLoS Pathog 10(6): e1004211. Zwolanek, F., Riedelberger, M., Stolz, V., Jenull, S., Istel, F., Koprulu, A. D., Ellmeier, W. and Kuchler, K. (2014). The non-receptor tyrosine kinase Tec controls assembly and activity of the noncanonical caspase-8 inflammasome. PLoS Pathog 10(12): e1004525. Lackner, M., Tscherner, M., Schaller, M., Kuchler, K., Mair, C., Sartori, B., Istel, F., Arendrup, M. C. and Lass-Florl, C. (2014). Positions and numbers of FKS mutations in Candida albicans selectively influence in vitro and in vivo susceptibilities to echinocandin treatment. Antimicrob Agents Chemother 58(7): 3626-3635.